President Donald Trump wants to withdraw the United States from the Intermediate-Range Nuclear Forces (INF) Treaty signed by presidents Ronald Reagan and Mikhail Gorbachev in 1987. But can he do so without Congressional approval? At first glance, it may appear that Trump has the authority to do so, considering that the president has already used his executive powers to pull the United States from the Paris climate agreement and the Iran nuclear deal. There is a fourth approach however: The executive can simply sign an agreement such as the Paris climate accords or the “action plan” on Iran’s nuclear programs. This last approach establishes a moral but no formal legal obligation. Hence, President Donald Trump could withdraw from the Paris accord and the Iran deal, signed by the Obama administration, without needing Congressional approval. But if the commitment is indeed a full-fledged, bona fide treaty such as the Intermediate-Range Nuclear Forces Treaty, that leaves the question: Does the White House have the right to flout or void treaties—described by Chief Justice John Marshall in 1823 as the “supreme law of the land”—without approval by one or both houses of Congress? Some members of Congress certainly think that their approval is needed to exit a treaty; when the president warned in July 2018 that he might pull the United States from NATO, founded on a multilateral treaty, several senators said he could expect an extensive fight in Congress. The question seems to boil down to this: While the Constitution says that the Senate needs to approve a treaty negotiated by the president, it says nothing about pulling out of a treaty. That leaves us with a conundrum: If it takes two branches of government to make a treaty, can the White House alone terminate it? A problem more difficult than it first looks. 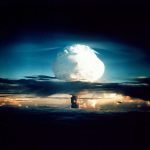 The US Constitution provides no clear answers to this question, but the precedents established over more than two centuries suggest that the president may not act alone to abrogate US treaty obligations. And in fact, usually the president has acted in this area pursuant to a joint resolution of Congress or with the consent of the Senate. The first treaties terminated by the United States were its 1778 alliance and commercial treaty with France—both of which were ended in 1798 by an act of Congress. Similarly, in 1845 President James K. Polk asked Congress to make provision in law for ending an 1827 treaty with Britain regarding the Oregon Territory. President Ulysses S. Grant in 1876 asked Congress for authority to terminate an extradition treaty with Britain. President William Howard Taft in 1911 asked the Senate, “as a part of the treaty-making power of this Government,” to approve his termination of the 1832 treaty of commerce and navigation with Russia. Unilateral acts by the president to end treaties have been the exception. This has happened about a dozen times, including in 1978, when President Jimmy Carter acted to end America’s 1954 mutual defense treaty with Taiwan. 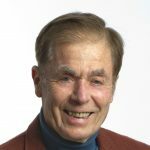 When Carter ignored a congressional statement expressing the opinion that he should consult with Congress before making any such change in policy, Sen. Barry Goldwater and 15 other members of Congress sued the president. Several lower courts ruled on Goldwater v. Carterbut issued contradictory judgements. Finally, the Supreme Court in December 1979 decided that the case presented a “nonjusticiable political question”—meaning that the courts had no authority to rule on the matter. As for the INF Treaty, it obliged the two superpowers to eliminate all their ground-based missiles, both ballistic and cruise, with ranges between 311 and 3,417 miles. The Kremlin destroyed 1,846 missiles (including those based in Kazakhstan, Ukraine, and Belarus), while the Pentagon disposed of 846. This was not just “arms control” but “disarmament.” Most earlier arms accords limited weapons deemed obsolete, but the INF Treaty eliminated the most modern weapons such as the Pershing II and land-based Tomahawks. The missiles destroyed were up-to-date but superfluous. 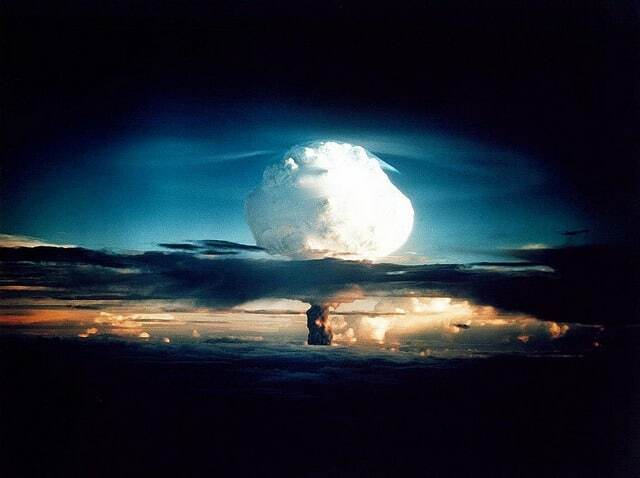 Each side retained huge arsenals of sea- and air-based missiles as well as intercontinental ballistic missiles (ICBMs). The INF treaty helped Washington and Moscow to save money on weapons they did not need, and helped make the world safer. However, the INF treaty’s Article XI says that each party shall “have the right to withdraw from this Treaty if it decides that extraordinary events related to the subject matter of this Treaty have jeopardized its supreme interests.” The party must give six months’ notice before it withdraws and explain what are the “extraordinary events” that jeopardize its supreme interests. Two such events have alarmed Washington. Starting in 2014, the United States has charged that Russia has violated the treaty by developing and testing a new kind of intermediate-range cruise missile that threatens Europe. Another pressing complaint is that the INF treaty prevents the United States (as well as Russia) from deploying intermediate-range missiles to counter those now being fielded by China. 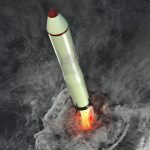 Russia denies the US allegations and makes two counter-allegations: that American antimissile batteries in Europe could be used to fire offensive weapons; and that armed US drones fly within the ranges prohibited by the treaty. In response, PresidentTrump wants to throw off the INF Treaty restrictions altogether, and build new types of missiles (perhaps hypersonic and maneuverable) to counter Russian and Chinese deployments. 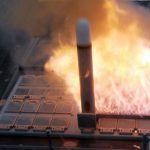 In this ambition, he is not alone; lawmakers voted in November 2017 to require the Defense Department to begin development of a road-mobile, ground-launched cruise missile with a range prohibited by the Treaty. 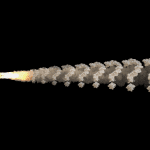 In late 2018 the Army was exploring with defense contractors a longer-range version of its new “tactical” Precision Strike Missile that would exceed the INF limitations. But if Democrats dominate the US House of Representatives and can summon up just a handful of Republicans to join them in the Senate, they might insist on continued adherence to the INF limitations; they could argue that if Russia chooses to waste its resources on a new missile, the Pentagon need not do the same. The facts bear out this line of reasoning: The United States, joined by France and the United Kingdom, has abundant overkill to deter Russian or Chinese aggression. Instead of killing the INF Treaty, the parties should fix it (along with the 2010 New START accord, which expires in three years). When the Supreme Court dismissed the Goldwater complaint against Carter in 1978, Justice Lewis F. Powell Jr. voted with the majority, but opened the door for one or both houses of Congress to assert their right to take part in any decision to terminate a treaty. Powell denied that the issue was political. The complaint was “not ripe for judicial review,” Powell said, because neither the president nor Congress had formally asserted its constitutional authority and reached an impasse. 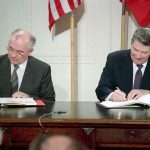 The Senate did place explicit restrictions on the president when it approved the INF Treaty in 1988, and the Conventional Forces in Europe Treaty in 1991. In each case, the Senate conditioned its consent on an understanding that the original interpretation of each treaty could not be unilaterally altered by the president. This was a wise first step; Congress would do well to rise up and try to walk upon this path again today. Congress should claw back its authority from an imperial president—especially on issues of war and peace. 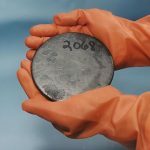 Today, more than 30 years since Justice Powell rendered his opinion, Congress has still not formally asserted its right to a role in outright treaty termination. Both precedent and logic suggest Congress should do so. If the president proclaims any treaty a dead letter without obtaining approval on Capitol Hill, he abuses his authority. Neither the executive nor the legislative branch alone should have the last word. Regardless of which party dominates Congress, leaders on both sides of the aisle should insist that treaty obligations can be terminated only with Congressional approval—two-thirds of Senators present or a majority in both houses. Yes, indeed. If a treaty has been ratified by 2/3 of the senators present, then logically it would need a similar vote to de-ratify it. I hope that US citizens will urge their senators to ensure that this procedure is carried out.